Lens Description: Sigma\'s APO 70-200mm f/2.8 EX DG OS HSM is the second generation of this large aperture telephoto zoom lens now incorporating Sigma’s Optical Stablization function, OS, our own anti-shake system which makes viewing a stabilized image in the viewfinder possible for Sony and Pentax users if chosen. Two FLD glass elements, which have the performance equal to fluorite glass have also been added along with three SLD glass elements, all which provide excellent correction of color aberration. 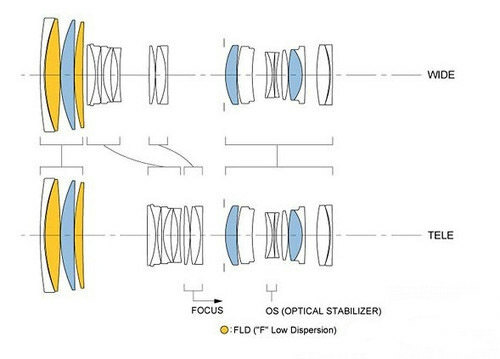 In spite of the additions of all of these features, Sigma has managed to make the lens more compact than its predecessor, measuring only 7.8” in length. For any serious photographer where the 70-200mm focal range is often the most important second lens to own after the initial standards lens or mid range zooms. The fast aperture is extremely useful and important in low light environments or when shooting fast moving situations where a higher shutter speed demands maximum lights thru the lens. HSM ensures quiet and high speed AF as well as full-time manual focus capability. Super Multi-Layer lens coating reduces flare ghosting and assures high image quality throughout the entire zoom range. It has a minimum focusing distance of 55.1 inches throughout the entire zoom range and a maximum magnification ratio of 1:8 The rounded 9 blade diaphragm creates an attractive blur to the out of focus images. This lens is equipped with a petal-type hood. Its exceptional versatility as an all-around lens is perfect for journalists and wedding photographers. 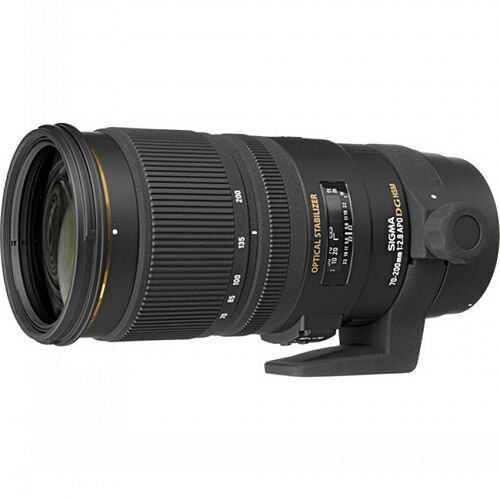 This latest version of the Sigma 70-200mm is well regarded for its outstanding image quality, light weight and ease of operation. Would love to purchase the Nikon 70-200 2.8 but this price is a little daunting. Considering the Sigma and Tamron. Can you give an update on this lens? Great lens for wildlife and wedding photography. Use it on Nikon D7000 and am still happy after about one year. Very fast and silent autofocus. But, this appears to be a common problem, I had to send it to Sigma along with my D7000 for optimal focus tuning. Service was for free due to warranty. Brilliant results. Would purchase it again. I’m currently testing it along with a Sigma 1.4 teleconverter.